Newcastle owner Mike Ashley says he has no plans to sell the club until at least the end of next season. It was reported on Thursday that he is ready to buy Scottish side Rangers, in which he already has a 9% stake. "The truth is Mike Ashley remains committed to Newcastle United," said a statement from the Premier League club. "This means that for the remainder of this season and at least until the end of next season, Mike Ashley will not sell Newcastle United at any price." Ashley also ruled out purchasing any further shares in Scottish Championship club Rangers. 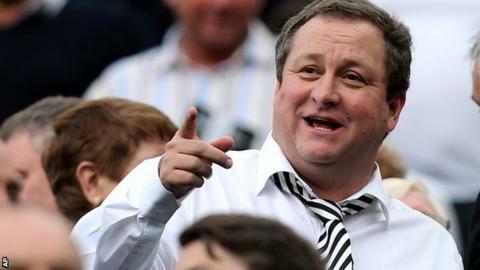 Buckinghamshire-born Ashley, who owns sports retailer Sports Direct, bought Newcastle in May 2007.